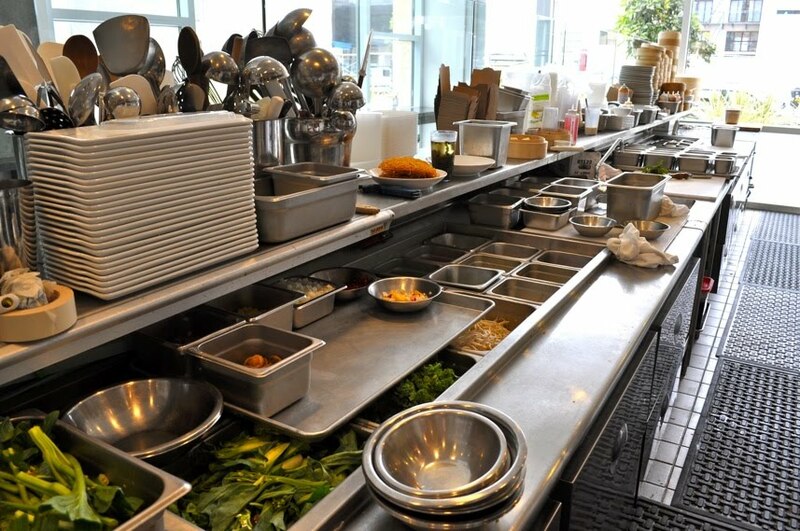 Yick Chefs’ Refrigerated Tables and Steamed Preparation Tables are designed as efficient, comfortable workspaces necessary for busy chefs. The tables can be custom-made to all lengths and variable widths. We pride ourselves on the quality of our workmanship, the materials, and our products’ durability. To produce the tables, we use welded stainless steel construction, heavy insulation, and standard stainless steel tabletops, among many other features. A completely self-contained unit controlled by a thermostat and a forced air-cooling unit with all the necessary controls. The refrigeration unit automatically maintains uniform temperatures. Air inlets and outlets, as well as service access, are through the front; ventilation or access clearances are not necessarily at exterior ends, bottom, or rear of the cabinet. No plumbing required. The numbers of doors can be made to suit the customer’s needs. Remote applications are available upon request. Has a one-piece welded tank with drain. Each burner generates 25,000 BTU’s of heat and is regulated by use of manifold on/off knobs. Interchangeable top panels can be mixed and matched to suit any need. Typical pan sizes inserted into the top panels are as follows: 8 ½” round, 10 ½” round, and 12 ¾”X 20 ¾” rectangle (other pan sizes & multiple configurations are available). Optional accessories include: heat lamps, menu clips, roll-top cover, shelves, lowerators, sink, etc. Yick tables consist of all-welded steel construction with angle bar frame and are NSF approved. A rugged, reinforced base construction consists of tubular legs and adjustable feet. The tabletop and sides are built with 14, 16, or 18-gauge stainless steel (specify upon order). Refrigerated models are heavily reinforced.